Give the tender G.O four and a half minutes of your time and I guarantee he will melt and rearrange the DNA of your heart. 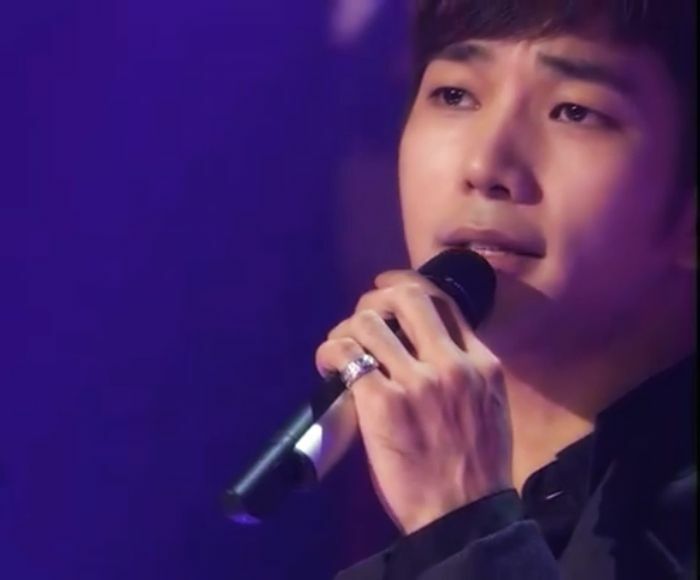 His final performances on Immortal Song 2 were perhaps his most poignant and moving. Maybe I am overly emotional lately. Or, maybe I am just missing him because when I watch his performance of 사랑스런 그대 [Lovable You], it brings me to my emotional knees, so to speak. How do you go on when you feel all is lost? To mend a broken heart? To walk away quietly and forget the past? The relevance of this song were G.O to sing it today I fear would have an even greater impact, yet he sang it the evening of September 22, 2012 as if he were living the future at that very moment. 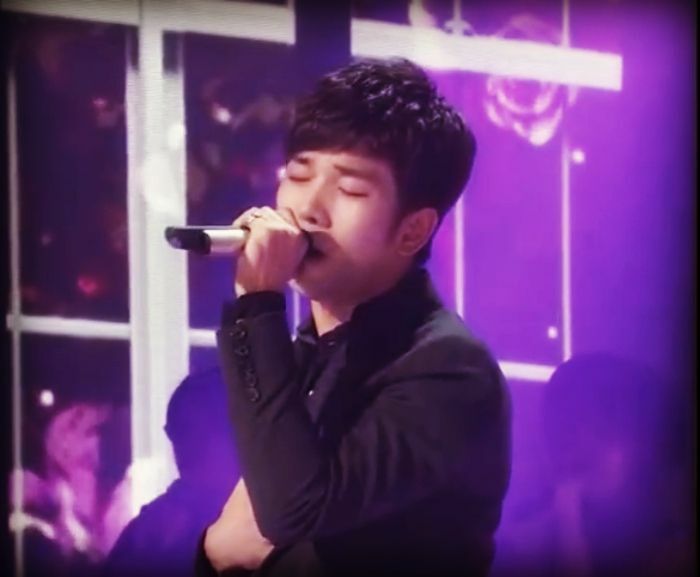 Over the course of writing about G.O’s Immortal Song 2 performances, I have had (admittedly) an easy time conveying my thoughts about each. Until now. Therefore, I am not going to say too much other than it was a gorgeous performance. G.O’s exquisite voice and soft moist eyes, a haunting cello, Seung Ho’s gentle piano, and the lithe interpretative dance of Lee Joon and Two X’s Eun Young all created the perfect storm of emotion that I am never able to weather rewatch after rewatch. Yes, the visuals were stunning. I am not sure I captured it well in this screen shot, but when the camera cut to this young audience member, tears were falling from her eyes. THIS is the power of G.O’s art. The combination of each of these magnificent talents brought together on one stage silently ignited emotion. The audience, co-contestants, and even legends Yoon Hyung Ju and Kim Se Hwan sat mesmerized. 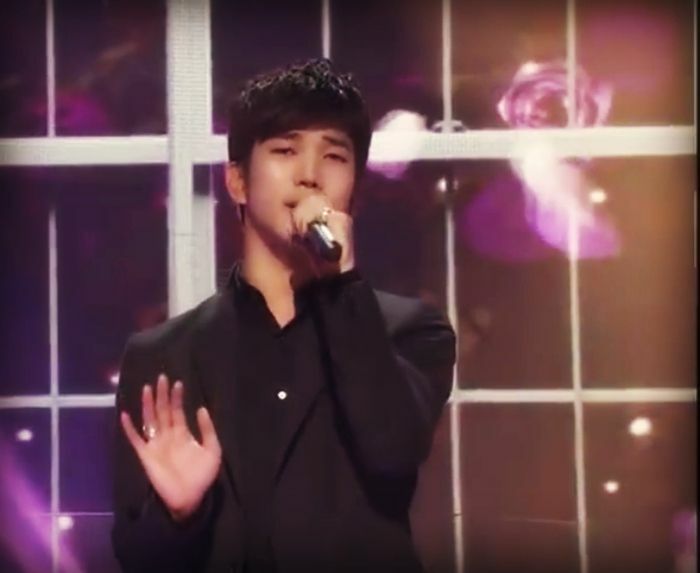 All were held captive in the aura of the performance, the foundation of which was (and will always be when he takes the stage) G.O’s euphonious, soothing and beautiful voice. Categories: G.O Military Discharge, MBLAQ Musings, The G.O Files | Tags: Eun Young images, G.O, G.O images, G.O's Military Service, Immortal Song 2, Jung Byung Hee, Jung Byung Hee images, Korean Music Competition Program, Korean Variety, Lee Chang Sun, Lee Chang Sun images, Lee Joon, Lee Joon images, MBLAQ G.O, MBLAQ G.O images, MBLAQ Seung Ho, MBLAQ Yang Seung Ho images, Two X, Two X Eun Young, Yang Seung Ho images | Permalink.